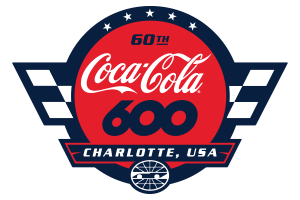 A son realized his late father's dream on Sunday at the Pennzoil AutoFair presented by Advance Auto Parts at Charlotte Motor Speedway, when H.A. Mergen and his red-and-white 1955 Oldsmobile Starfire claimed Walt Hollifield Best of Show honors. Mergen, a Davidson, North Carolina, native, restored the car with his late father, Howard, but he never expected to leave triumphant after a four-day show of timeless classic cars, trucks, customs and hot rods. Mergen didn't figure the car could win top honors in his club, Mid-Atlantic Oldmobile - but a panel of judges including David Ankin, star of the television show "ToyMakerz," found Mergen's car to be the best. "Have you heard the slogan, 'This is not your father's Oldsmobile?' Well, this is my father's Oldsmobile," Mergen said. "My dad, Howard Mergen, was Mr. Oldsmobile. He worked for Oldsmobile for 30 years in California. When this car came available, he fell in love with it. We got it all shined up and started showing it. He passed away last November. We're here in his honor. It was his goal to win this award, Best of Show, for the Spring AutoFair. He wanted that ever since we've lived in the Charlotte area. "I know he's with us. We worked on all of our cars together. It was definitely a father-son project. This car won Ladies' Choice at AutoFair in 2016, and when my mom found out she said, 'Well, we always knew he was a ladies' man.' It's really cool to win this. I don't have words to explain. It means a lot to us. This is a very big deal." "It's a great, great honor to have this award named for me," Hollifield said. "This goes right to the top of the honors. This is up there."